Attendance is free, all are welcome. Series: Organized under the aegis of the Jean Monnet Chair in European Law. The City Law School is delighted to invite you to an event organized under the aegis of the Jean Monnet Chair in European Law. 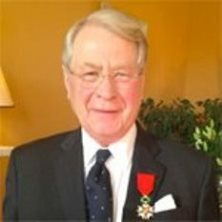 Sir Konrad Schiemann was born in Berlin in 1937. He was orphaned during the war and came to England in 1946 where he was brought up by his uncle, who had married an English wife before the war and had spent the war here. He attended King Edward's School in Birmingham and was commissioned into the Lancashire Fusiliers, serving in Cyprus. He holds a Master of Arts and Bachelor of Laws from Cambridge University and is an Honorary Fellow of Pembroke College, Cambridge. He practised as a barrister from 1964, became a Queen's Counsel in 1980, a High Court Judge in 1986 and a Lord Justice of Appeal in 1995. 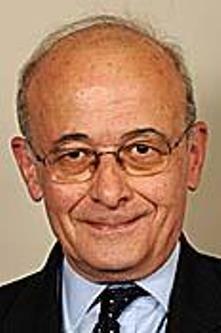 He is a bencher of the Inner Temple and was a judge of the Court of Justice of the European Union between 2004 and 2012. He married the daughter of German and Austrian refugee parents and has one child who was brought up in England and married an Englishman. They have two English children. 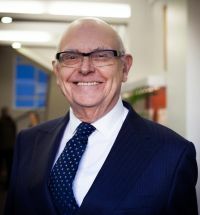 Sir Alan Dashwood was Professor of European Law at the University of Cambridge from 1995 to 2009 and is now Professor Emeritus. He is a Fellow, now Emeritus, of Sidney Sussex College, of which he was formerly Vice-Master. In January 2012 he became a part-time Professor of Law at City University. He is also a Barrister in Henderson Chambers, a Bencher of the Inner Temple and took Silk in 2010. He specialises in the law of the European Union, and appears regularly in proceedings before the Court of Justice of the EU. Before election to his Chair at Cambridge, he was a Director in the Legal Service of the Council of the EU. He was the founding Editor of European Law Review and was one of the Joint Editors of Common Market Law Review until December 2008. He is a co-author of Wyatt and Dashwood's European Union Law, the sixth edition of which appeared in 2011, and contributes frequently to legal periodicals. At the invitation of the FCO, he led a team of Cambridge lawyers in drafting a model EU Constitution, as a contribution to the work of the Convention on the Future of Europe. He was appointed CBE in 2004 and KCMG in 2013. Sir David Edward is Professor Emeritus at the School of Law, University of Edinburgh. Awarded KCMG, 2004; CMG, 1981. Admitted Advocate, 1962; QC (Scotland), 1974; Judge of the Court of First Instance, 1989-92; Judge of the Court of Justice of the European Communities, 1992-2004. Please see the Judge David Edward Oral History site at the University of Denver, Sturm College of Law, for further information about Sir David's life and career, including streaming video of biographical interviews. John Olav Kerr, Lord Kerr of Kinlochard, was born in Granton-on-Spey in 1942. Kerr joined the British diplomatic service in 1966. He was seconded to the Treasury, 1979-1984 when he was Principal Private Secretary to the Chancellor of the Exchequer. He was Ambassador and UK Permanent Representative to the European Commission, 1990-1995 and Ambassador to the USA, 1995-1997. He was Permanent under Secretary and Head of the Diplomatic Service at the Foreign and Commonwealth Office 1997-2002 and Secretary General of the European Convention, 2000-2003. Kerr also held a number of directorships. He became a Trustee of the Carnegie Trust for the Universities of Scotland in 2005. Professor Douglas-Scott was born and grew up in Edinburgh. She studied philosophy, art history and aesthetics before taking a degree in law. Before coming to Oxford, she was Professor of Law at King's College London. She is a barrister and a member of Gray's Inn. 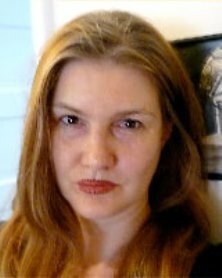 Sionaidh Douglas-Scott works primarily within the field of EU Public Law and legal and social theory, specializing, in particular, in EU human rights law. She is the author of the monograph, 'Constitutional Law of the EU', (2nd edition, forthcoming 2013). She has published widely on EU human rights law, including articles on freedom of expression (especially on hate speech), and on the importance of maintaining human rights in the face of EU and national fights against terrorism. She has held visiting posts at various institutions, including the University of Bonn, where she was visiting Jean Monnet professor. Since 1993, she has co-taught and developed a course on comparative US and EU human rights law with Justice Anthony Kennedy of the US Supreme Court at the Salzburg Forum for International Studies.